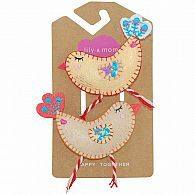 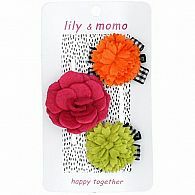 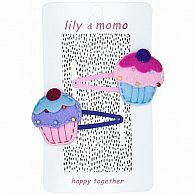 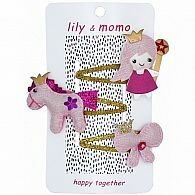 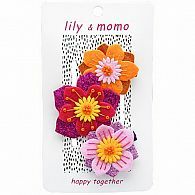 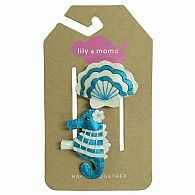 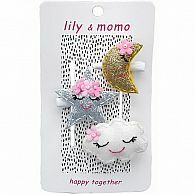 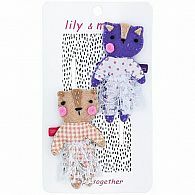 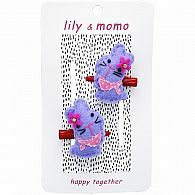 Launched in 2011, the Lily and Momo collection features fresh and vibrant hair clips, clip keepers, headbands and bags. 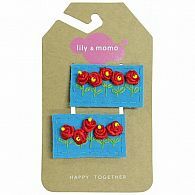 Founder and CEO, Sharon Miller named the company after her two children, Lily and Miles (her nickname for Miles being Momo). 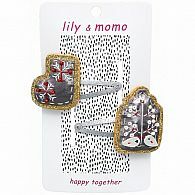 The company's moto is "Happy Together". 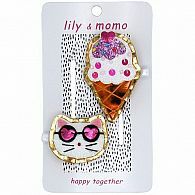 There is a lot of meaning behind that phrase. 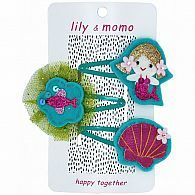 From the Lily and Momo team to the happiness the collections provide to girls' and the confidence Moms have knowing the products are safe and responsibly made. 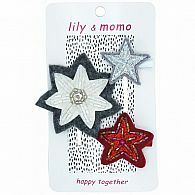 It is important to Sharon to have a work place that promotes inspiration and that everyone is happy at work. 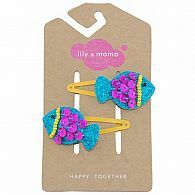 The moms on the Lily and Momo team have flexible work hours so they can be at home when their kids arrive home from school. 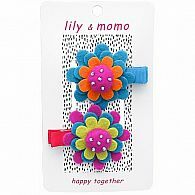 The Lily and Momo collections are all safety tested and CPSIA compliant.